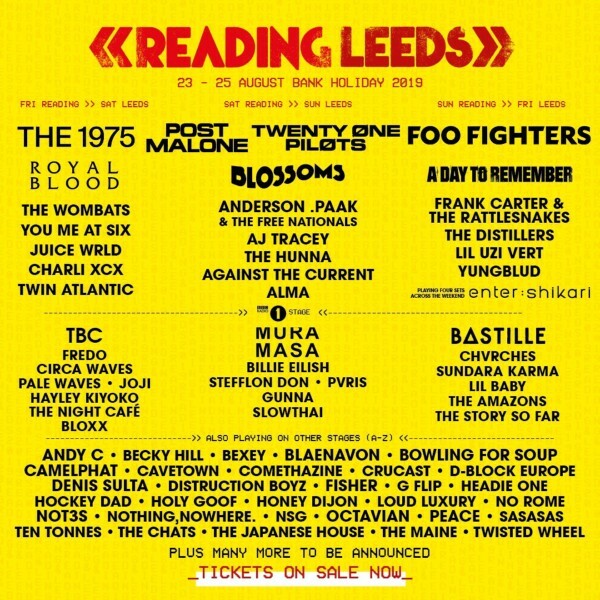 Reading & Leeds Festival have announced a further 50 acts who will be joining your previously announced headliners, The 1975, Post Malone, Twenty One Pilots and Foo Fighters. 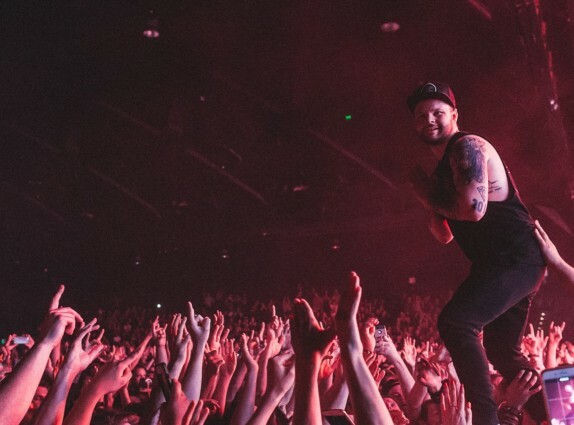 Among the artists added to the line up are: Royal Blood, Charli XCX, CHVRCHES, Enter Shikari, Lil Uzi Vert, Fredo, AJ Tracey, Gunna, Lil Baby, and Anderson Paak & The Free Nationals. Also added to the bill are: You Me At Six, Frank Carter & The Rattlesnakes, A Day To Remember, Circa Waves, The Hunna, The Wombats, The Japanese House and No Rome. Reading’s and Leeds Festival take pace from Friday 23rd - Sunday 25th August at Richfield Avenue (reading) and Bramham Park (Leeds). The festival rightly prides itself as 'defining and celebrating the sounds of modern ground-breaking music'.